Yesterday on my Twitter feed someone shared a link to an op-ed penned by Dr. Mark Hyman back in 2010 for HuffPo. They were using the piece as a means to prove their point, that Western medicine is corrupt. "The "spin doctors" writing the papers found a way to show treatments worked, when in fact, they didn't." The crux of his message in HuffPo seems to be that medicine is corrupted by pharmaceutical money and that "evidence-based" (his quotation marks, not mine) medicine can't be trusted because, "the underlying motive is profit". "uncovered that in cases where studies had negative outcomes--in other words, the treatment studied DID NOT work--the scientists authoring the studies created a "spin" on the data that showed the treatments DID work." And I agree, that's egregious, and clearly more effort needs to be made to control the spin of science and to question the conclusions of people whose "underlying motives" might be perceived as profit. Given the growing number of scientific retractions, and of increasing calls for clinical trial transparency and data sharing, and for peer review reform, I think we are, slowly, heading in the right direction. The system's definitely not perfect, but of course, neither is science - science is not a body of facts, but rather a living, breathing, changing, system of checks, balances, critique, and questions. 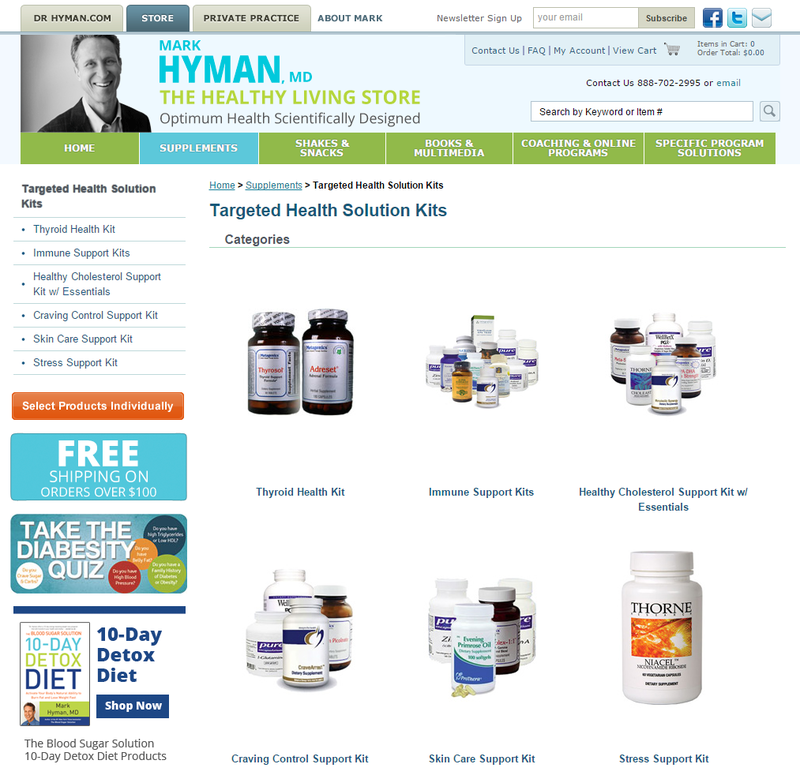 So in the spirit of transparency, and perhaps too for the sake of a better critical appraisal of Dr. Hyman's published piece, there's more you need to know about Dr. Hyman's medical practice. "The 10-Day Detox Diet Advanced Kit Supplements includes all of the healthy foundational vitamins and nutrients needed for healthy blood sugar support in the basic plan kit as well as four special herbs that have been used to enhance insulin sensitivity and balance blood sugar for centuries." "includes all of the supplementation needed to support healthy blood sugar balance and address autoimmune disease by focusing on reducing inflammation and calming down an overactive immune system. Anything that causes inflammation will, in turn, cause insulin resistance. And anything that causes insulin resistance will cause inflammation. This dangerous spiral is at the root of so many of our twenty-first-century chronic maladies. Use this kit to help balance your immune system and cool off inflammation." 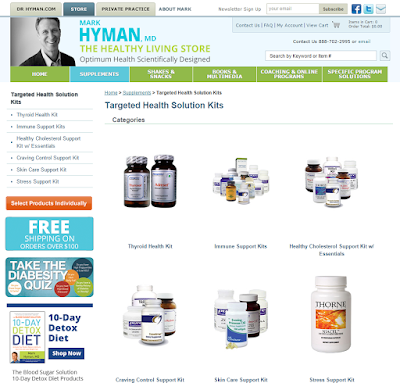 Given that just 10 days worth of Hyman's "detox" supplements will run you near $300, and with many others' monthly costs running well into the hundreds (the Autoimmune one clocks in at $235.18/month), and with Hyman having incredible influence and large throngs of follower to who he clearly is comfortable directly selling non-rigorously studied supplements, I think his outrage about both "spin" and financial conflicts of interest in traditional medicine, are in more ways than one, a bit rich. All this to say, I readily agree with Dr. Hyman. It's important for science, and for you, to question the underlying motives of anyone trying to sell advice and/or products, including advice and products from both the traditional realms of science and medicine, and perhaps especially the advice and/or products from those realms lacking actual evidence.